Spacedec Quick Shift Donut Pole Dual Mount For 2 LCDS Up to 26.5 lbs The 29.5” (750mm) pole comes with one Quick Shift Donut to guarantee a customized display installation. The cutting-edge Quick Shift lever allows screen to be moved up and down the pole by hand, without the need for any tools. 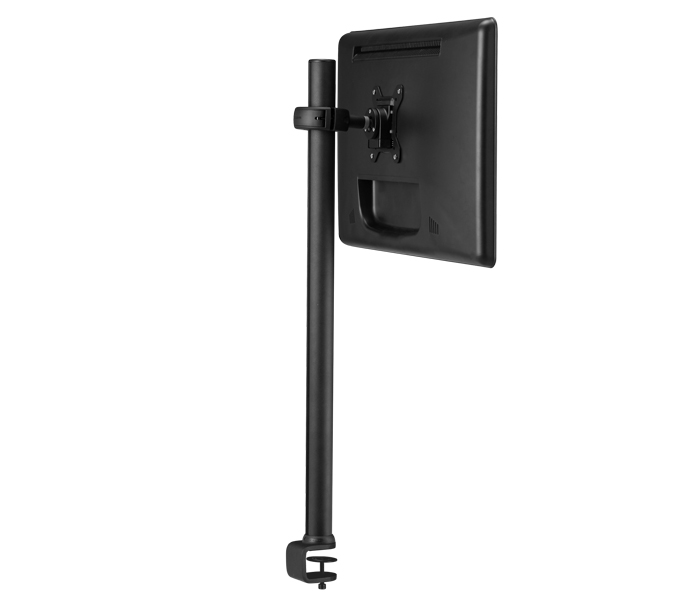 Viewing angle and screen orientation are also fully adjustable, finished off with a quick release mechanism to rapidly remove and change screens. Built in internal cable management ensures a professional finish for maximum display impact.